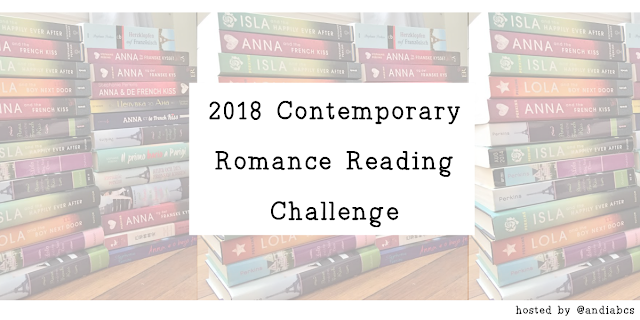 This is will be my sixth year taking part in the contemporary romance challenge and I'm really looking forward to it. I seem to be binging on my main love of paranormal romance and urban fantasy at the moment but I still enjoy contemporary romance so although I'm reading a bit less I'd like to carry on keeping track of it. I'm going to set my goal for 2018 at 20 books so that I'm not putting myself under too much pressure. I will update this post to include links to my reviews as I post them.